The physician died on March 5th, 1815. 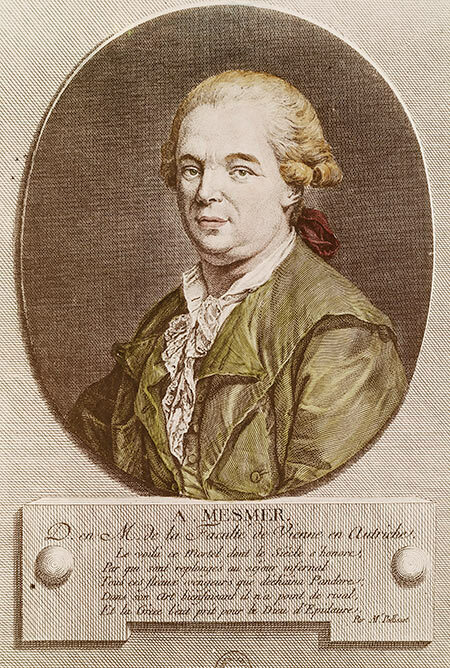 Franz Anton Mesmer in a contemporary engraving. The German physician who inspired the modern practice of hypnotism came from a Roman Catholic family in Swabia, near the Swiss border. They lived at a place called Iznang on an arm of Lake Constance and the father, Anton Mesmer, was gamekeeper to the Bishop of Constance. Born in 1734, the third of their nine children was named Franz Anton, but was usually known as Anton. His Catholic education by monks and at two Jesuit universities left him with no zeal for the Church and in his twenties in 1759 he went to study first law and then medicine at the University of Vienna. By the time he wrote his doctoral dissertation in the 1760s Mesmer was deeply interested in the possible influence of the planets on disease. Drawing on the work of a distinguished English physician, Richard Mead, he suggested that an invisible fluid in the human body is influenced by the planets, just as the moon affects the tides. He later invented the term ‘animal magnetism’ for this phenomenon. In 1768 Mesmer married a rich widow, ten years older than himself, Anna Maria von Posch. They lived in style in Vienna on her money and he set up in medical practice. He believed that diseases were caused by blockages in the body’s invisible fluid which could be broken by putting a patient into a trance state that would restore the fluid’s normal healthy flow. He experimented with using magnets, but dropped them as he concluded that it was his own personal magnetism – he was a dramatic and commanding character – that brought about the desired result. Mesmer had an appetite for publicity. He gave lectures and demonstrations and staged cures in a way that upset more conventional Viennese doctors. In 1778 he left Vienna for Paris. Anna Maria apparently did not go with him. He had complained about her extravagance and stupidity and it seems they now parted company. He took an apartment in a fashionable area and opened a clinic in the Place Vendôme. He soon attracted attention from those who thought him a brilliant innovator, but the French medical establishment largely regarded him as a charlatan. He would sit in front of a patient with his knees touching theirs and then make ‘passes’ with his hands over the patient’s shoulders and down the arms. Many of his patients felt strange sensations and some went into convulsions. So many came flocking to the clinic that he sometimes treated them in groups, who touched their bodies with iron bars protruding from a tub of fluid while they were linked together by holding a rope. An English observer said that Mesmer could cause convulsions by moving his hands without touching the patient. Mesmer became the talk of Paris. He wrote little himself, but he gained disciples who wrote admiringly about him and his technique began to be called ‘mesmerism’. 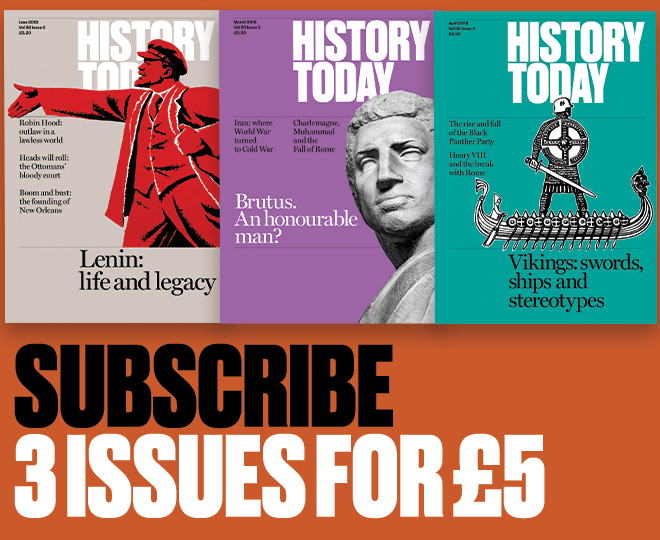 It spread across France to such an extent that in 1784 Louis XVI set up a commission of enquiry, whose members included the chemist Antoine-Laurent Lavoisier, the astronomer Jean-Sylvain Bailly and Joseph-Ignace Guillotin, the doctor who gave his name to the guillotine. The chairman was the US ambassador Benjamin Franklin. The commission did not talk to Mesmer or any of his patients, but focussed on whether mesmerism’s invisible bodily fluid actually existed. It reported that there was no evidence for any such invisible fluid and that mesmerism’s effects on a patient must be attributed to the patient’s imagination and could well be harmful. The commission’s report had a shattering effect on Mesmer. He had discovered something important, but he had never properly understood how it worked. He now began a slow retreat into himself. He closed his Paris clinic, returned to Vienna for a time to sort out financial matters after the death of his wife and then travelled in Europe before retiring to the area near Lake Constance where he had grown up. He lived quietly for many years at Frauenfeld in Switzerland on the lake’s southern shore before settling finally at Meersburg in Swabia. He did not marry again and he had no children. He suffered agonies with bladder problems before dying at the age of 80 at Meersburg. Mesmer had gone and his theory of an invisible fluid in the body had gone, too, but as the 19th century wore on a more scientific approach developed. The most important single figure was James Braid, a Scottish physician in Manchester who coined the terms ‘hypnotism’ and ‘hypnosis’ from Hypnos, the Greek god of sleep, after experiments in the 1840s. There is no doubt now that hypnotism works, for good or sometimes for ill, but it is still not fully understood.